This is going to shape up to be one sweet week around here. 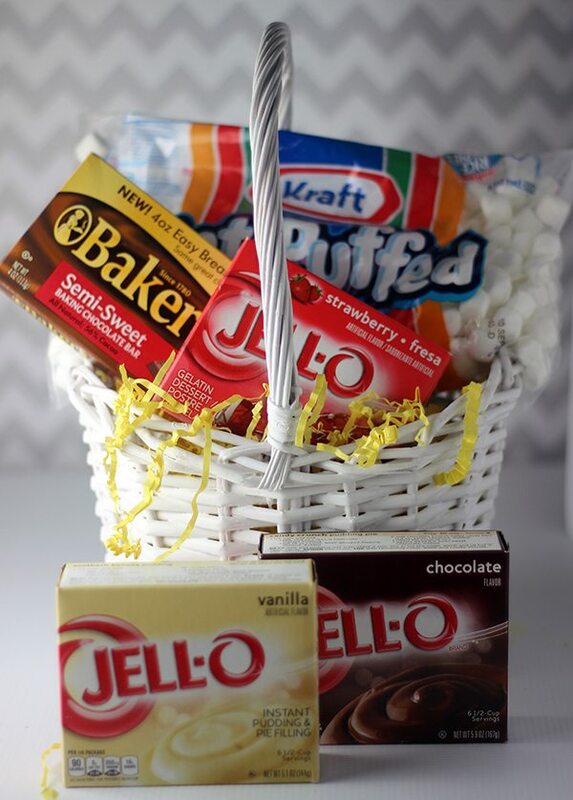 I’m going to be sharing 3 awesome and easy spring desserts using Kraft goodies. I can hardly stand the excitement! Are you ready to join me on this delicious journey? This is a sponsored post. Kraft sent me some of their awesome goodies to get my spring dessert juices flowing. The JELL-O Vanilla Flavor Instant Pudding and BAKER’S Semi-Sweet Chocolate were used in creating this decadent cake recipe that is right on the Kraft website, perfect! 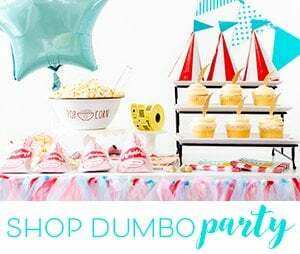 Later this week, I’m going to share my very own creation using some of these goodies, so make sure to come visit again! You know, the best part about this cake recipe aside from it being so simple is that it would cost you under $10 to make it. Pretty impressive indeed! Another great thing about this particular recipe is that you can get the kid’s involved. There is no baking, you’ll only use the microwave briefly to create this amazing chocolate topping. My son loves to hang out with me in the kitchen. It’s not only an awesome time for us to just chat and laugh, it’s also a time to teach him how to cook and be creative. Don’t tell him that part, though. Shhh. You probably can’t wait for this scrumptious recipe, so why am I keeping you waiting? If you have 15 minutes, you can totally nail this recipe! It starts out with a pre-made angel food cake available at any grocery store bakery. Then the magic starts to happen when you whip up the JELL-O Vanilla Pudding layer and the show stops with the simple chocolate layer on top. Takes wonderful chilled, this is definitely one of my new favorite recipes! This delicious dessert can be refrigerated up to 4 hours before serving. Want more? Visit KraftRecipes.com to find this and many other wonderful recipes. Wow your guests or family any night of the week! What are your favorite go-to spring dessert recipes? This cake is just beautiful. I love all the layers. Now that is too easy and looks all kinds of delicious! Boston cream pie is one of my all time favorite desserts. cake, cream, frosting how could it possibly be better! I have this recipe saved!!! It is such an easy awesome recipe to make Boston Cream pie! That is one of my all time favorite desserts. Thanks for the recipe. 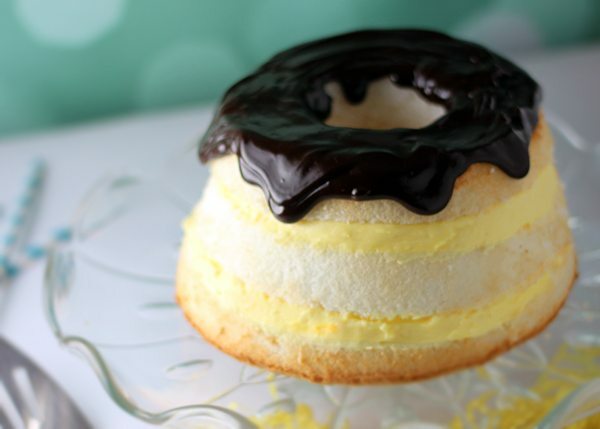 I love Boston Cream Cakes and I am excited to try this new recipe. Thank you for sharing! I will be pinning it for later. I worked in a bakery for about 10 years, and we made Boston Cream Cakes. They sold so well that we made 3 dozen a day. I needed this reminder to make one! They're awesome! 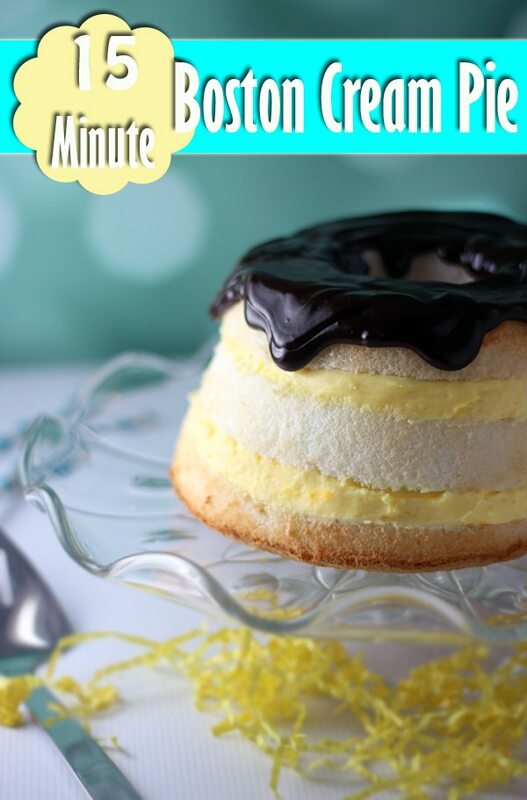 Love this great way to enjoy Boston Cream Pie! I love that it ican be put together so simply too! Great recipe! Oh! I love boston cream pie! always have! Thank you for the easy recipe. These desserts look delicious and easy to make for regular people. Oh my hubby would love this. Real tasty looking. It looks positively delicious! 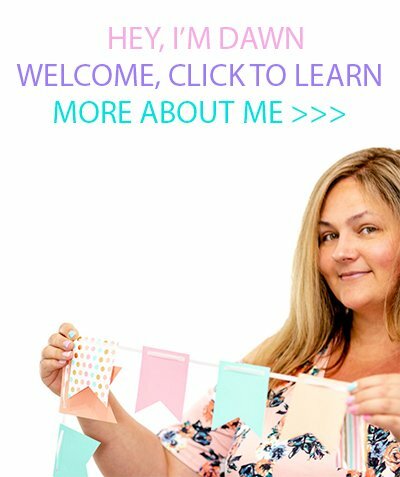 I love how easy it is to make too! That looks like the perfect dessert! I can't wait to try it. This looks completely delicious! Boston Crème are my all time favorite donuts so I am sure this would be delicious! yummy! You have outdone yourself girl! This looks awesome! I love Boston Cream Pie -- mix that with cake and I can't imagine anything better! Will definitely have to try this! Looks yummy! I love how quick and easy this recipe is! My husband loves Boston Cream anything so I'm sure he's going to like this! I love that it only take 15 minutes to make! One Of My All Time Favorites Can't Wait To Make Thank You! These are super cute! As always you have fantastic pictures. Pinned. I'm sure the cake would be delicious, but it's also gorgeous! I wouldn't want to cut it. What an awesome sweet treat! Thanks a lot for making me really hungry! Now I want to dig into some good Boston Cream Pie! Feed me! I really don't have a go to dessert. The presentation on this pie looks wonderful. I don't know if I could pull that off! My husband looooooves Boston Crème Pie. I am definitely showing him this recipe! I love that this is so fast and easy to make! Looks yummy too! OMG I love Boston Creme! I am totally pinning this!!! Boston Cream Pie is one of my all time favorites, so when you have it mixed with cake, which is also high up on my list of favorite sweets, you can consider me convinced of the awesomeness of this. I will definitley be making this.